Spectacular All-Brick Colonial situated on a picturesque 2.5+ Acre Lot inclusive of a 6 Car Carriage House Garage & attached 3 Car Garage! Updated Details & Renovations throughout. Impressive, Light-filled 2-Story Foyer boasting an elegant, sweeping staircase, Hardwood Floors throughout Main Level. Spacious Dining Room with convenient access to Renovated Gourmet Kitchen inclusive of large Center Island with Cooktop & Seating, Double Ovens, Open Floor Plan including Breakfast Area with Bumped-out Bay Window that is open to dramatic Vaulted Ceiling Family Room featuring Wood-Burning Fireplace flanked by windows & a striking Floor-to-Ceiling Wall of Custom Stacked Stone & Marble Surround. Relaxing Living Room open to Sunroom/Conservatory. Master Suite & Sitting Room enjoys a Gas Three-sided Fireplace and Spa-like Master Bath with Dual Vanities, Granite Countertops, Jetted Tub & Seamless Rain Shower. Expansive Finished Lower Level is perfect for entertaining or relaxing with large Recreation Room w/Gas Fireplace, Media Room, Den/Office, Full Bath and Glass French Doors to Patio & serene Backyard. Abundance of Storage with multiple Closets featuring built-in shelving & Drawers. Picture Perfect~You won~t want to leave home! SchoolsClick map icons below to view information for schools near 9824 Beach Mill Rd Great Falls, VA 22066. Home for sale at 9824 Beach Mill Rd Great Falls, VA 22066. 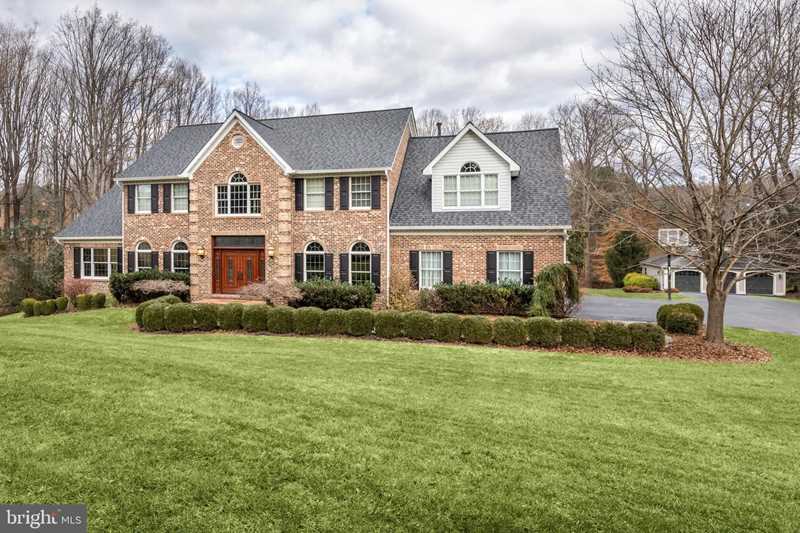 Description: The home at 9824 Beach Mill Rd Great Falls, VA 22066 with the MLS Number VAFX749130 is currently listed at $1,335,000 and has been on the Great Falls market for 77 days. You are viewing the MLS property details of the home for sale at 9824 Beach Mill Rd Great Falls, VA 22066, which is located in the Great Falls subdivision, includes 4 bedrooms and 5 bathrooms, and has approximately 5346 sq.ft. of living area.